This capsule collection from Nomination celebrates the laid-back lifestyle of Honolulu, Hawaii. 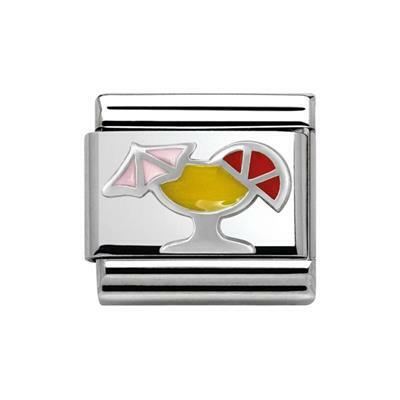 Add some summer style to your Nomination classic bracelet with this fabulous Silver cocktail charm. Be reminded of summer holidays and cocktails by the pool with this fabulous charm, Aloha!